Toivo Johan Gustavus Rosander, known to friends and family simply as ‘Toivo’, was born on December 30th, 1915 in Kukkola, Finland. He passed away in a suburb of Miami, Florida on December 24th, 2010—just missing his 95th birthday by a few days. Toivo’s beginnings trace back to both New England and Finland. His mother Alexandra, a.k.a Sanni, and his father Victor had immigrated to the United States from Finland before World War I. But the Rosander marriage split up, with a pregnant Sanni taking her four, US born children, Helen, Aino, Vieno, and George back to Finland to spend time with relatives and to ‘sort things out’. Toivo, the youngest of the five children, was the only Rosander child born in Finland. Sanni had planned on returning to the United States within a relatively short time, but travel during World War I was restricted or banned. She and her children were stuck in Finland until near the end of the war. As the conflict subsided, Sanni and her children, including Toivo, returned to the United States by way of Switzerland and Canada. Toivo grew up on a farm near New Ipswhich, New Hampshire, and acquired the value of hard work. There, he learned how to operate new mechanized equipment that was being introduced into the American agricultural economy. In 1936, at the age of 21, Toivo Rosander was summoned to Alaska by his uncle, veteran freighter and miner Gus Uotila, who was mining placer gold in the Innoko Mining district of western-interior Alaska. 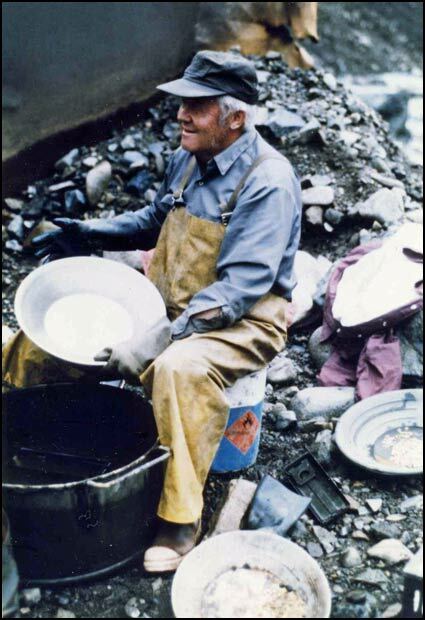 In 1934, President Roosevelt had raised the price of gold from $20.67/ounce to $35/ounce, which caused a resurgence in Alaska’s placer gold mining industry. Prior to that, a new generation of miners had already benefited from the use of mechanized equipment such as draglines and bulldozers, equipment that was not available to the sourdough stampeders of the Alaska-Yukon Gold Rush era. Largely because of this later day gold mining ‘boom’, Interior Alaska escaped most of the negative effects of the Great Depression. Toivo was a quick learner and soon mastered the dragline, bulldozer, the hydraulic monitor, and other equipment necessary to successfully mine placer gold. He quickly became a good manager of people. He lived in the mining town of Ophir and worked alongside Eric Hard, his uncle Gus, Cole McFarland Sr., Hugh Matheson Sr. and Joe Degnan. Ophir, named for the fabled place where the Queen of Sheba’s mines were located, was the center of mining in the Innoko district and miners from Ganes, Yankee, Little, Spruce, Ester, and Ophir Creeks did their business there. Toivo’s older brother, George, also came to Alaska during the mid-1930s. George became managing editor of the Kusko Times, then published in Takotna, Alaska. His business partner was Alaska Egan, the older brother of William Egan, who would eventually become the first governor of the State of Alaska. Later, George Rosander mined gold on Golden Creek in the Tozi-Moran area west of Tanana and on Granite and Slate Creeks in the Iditarod district, the latter with his uncle Gus Uotila. According to John Miscovich, George Rosander was one of the best drag line operators in the Iditarod area. He would marry Eva Miscovich, part of the Miscovich placer mining family centered in Flat. While on a trip to visit his mother Sanni in Florida, where she had relocated to, Toivo met Miriam Polkkynen, a native of Warren, Ohio. Miriam was a gifted athlete. She was a competitive swimmer and diver and an accomplished figure skater. She was also an excellent basketball player in high school, and earned the name ‘Dynamite’ because of the quick, explosive plays she made on the court. She became known as ‘Dyna’ to many friends and loved ones, a name that stuck for the rest of her life. 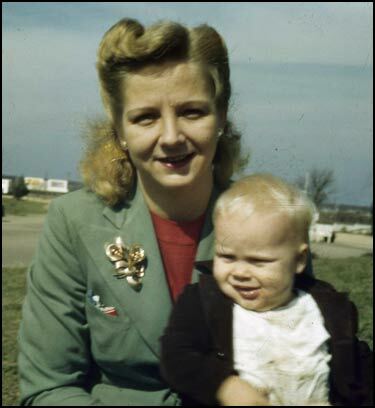 Her parents, Hjalmer and Katri, had moved to Florida so that Miriam could train for Olympic try-outs in diving for the 1936 Olympic Games, which were held in Berlin, Germany. She did not make the team, but proved that she could compete with the best divers in the country at the time. In the late 1930s, Miriam skated in a supporting role for the ‘Hollywood Ice Review’ with the Norwegian Olympic Champion—turned professional figure skater and movie actress, Sonja Henie. Prior to World War II, Dyna entered the Civilian Pilots Training Program (CPTP) and obtained a pilot’s license, one of the emerging woman pioneer aviators of the day. Love and family changed the direction of her life. Toivo and Dyna were married, and would have two children—Ken, born September 29th, 1938 and Ron, born February 23rd, 1943. In 1940, Toivo Rosander was ready to operate independently of his Uncle Gus Uotila and formed a placer mine venture on Little Creek in the Innoko District with Joe Degnan. He worked with Joe there for two full mining seasons. On November 18th, 1941, Toivo became a naturalized U.S. Citizen in Fairbanks. Just three weeks later, on December 7th, 1941, Japan attacked Pearl Harbor and the nation was at war. 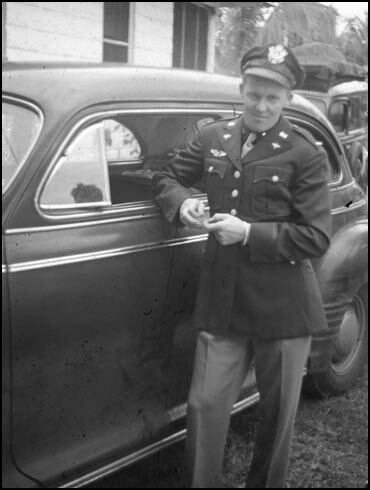 Toivo was drafted into the U.S. Army; he later joined the U.S. Army Air Forces (USAAF). During the conflict, Lieutenant Toivo Rosander piloted B-24 bombers over Europe in the 15th Air Force, first based in North Africa and later Italy. He was being scheduled for training to be a B-29 pilot when the war ended. 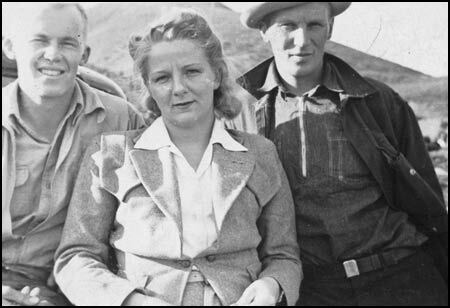 Upon his discharge from active military service, Toivo, Dyna, and sons returned to Ophir, Alaska and resumed mining activities with partner Joe Degnan on Little Creek through the 1946 season. Beginning in 1947, Toivo Rosander formed a partnership with Larry Reed on Yankee Creek west of Takotna, after being purchased from Nels Vibe. Some of the ground had previously been worked by mining pioneers Jack Neubauer and Neil Beaton. 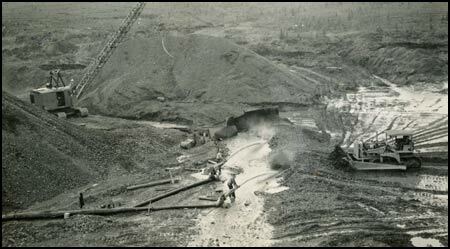 Mining Yankee Creek was one of the most successful parts of Toivo’s 70 year career in the Alaska placer mining business. After Reed passed away in 1950, Toivo purchased his partner’s estate in 1952 and mined on Yankee Creek continuously until 1968. For more than fifteen years, Rosander deployed two work shifts per day (double-shifted), and employed as many as twenty five (25) men and woman during the season many from local communities such as McGrath, Takotna, Nikolai, Holy Cross, and other villages. During that time, Toivo and his crews consistently mined more than 1 million bedrock feet of paystreak each year. “Toivo was one of only a few mine owners that hired mostly locals, including members of the native community. One result was that he was always welcome in places where outsiders were not always accepted, at least at that time, such as Unalakleet and Holy Cross. We took for granted the warmth and welcome of the people in those towns but it was a result of the regard in which Toivo was held, and that was extended to the rest of us because of him”. Cheek published a book in 2007, titled Epitaph for Ophir, about his experiences as a young man growing up in Ophir, Alaska. This valuable historical contribution describes the day-to-day events of life in a remote Alaska mining community during the pre-Statehood era. Although many of the book’s characters (but not all) contain fictional names, the events are real. In Epitaph for Ophir, Toivo and Miriam Rosander are Toivo and Dyna Taipale, who lived in Ophir, along with their sons Ron and Ken. While operating the Innoko district’s largest non-float mining operation on Yankee Creek, Toivo partnered with others on other placer paystreaks in the Innoko district. During 1953-1958, Toivo, Neil Beaton, and Frank Molitor mined Ganes Creek with the ‘Holky’ buckeline stacker dredge. The boat had been rebuilt during the late 1940s by Molitor, Charlie Holky, and Johnny Repo. 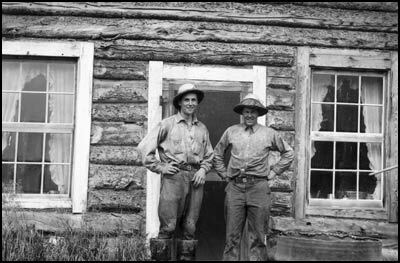 From the late 1950s to the early years of Statehood, Toivo established a successful partnership with Tex Gates on Bear Creek near Cripple Mountains 50 miles north of McGrath. Toivo shut down his main Yankee Creek gold mine in 1968 partly due to the exhaustion of easy-to-mine reserves and partly due to the fixed price of gold. Many other of Alaska’s gold miners had shut down by that time. Prior to that, Toivo diversified his livelihood and organized Kusko Trucking Company (Kusko Trucking). Kusko Trucking hauled fuel and supplies along the 55 mile long Ophir-Sterling Landing road system to fellow gold miners and to Tatalina Air Force Base, a Cold War DEW line early warning system built along the flanks of Takotna Mountain. Toivos’ Kusko Trucking, which was active from the late 1950s through the early 1980s, kept cash flow positive for the Rosander family. Toivo and Dyna made gold nugget jewelry with placer gold from the Ophir area. Dyna became an expert designer and fabricator of gold jewelry, making pendants, ear rings, and necklaces. Toivo focused on polishing and stone setting for the jewelry products. Their market not only included Tatalina AFB and McGrath but outlets in Fairbanks and Anchorage as well. When gold prices were decontrolled and began to rise in the early 1970s, Toivo eagerly joined his sons Ron and Ken to plan, and develop a new gold mining venture on Colorado Creek north of McGrath. 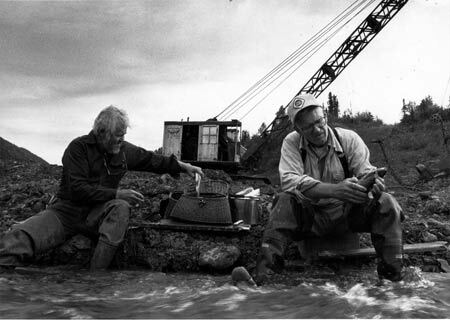 Through the purchase of mining claims from the John and Richard Fullerton in Flat, the Rosander Mining Company has mined at Colorado Creek every year since 1974, making Rosander Mining Company one of the longest running, continuously mined Alaska placer gold producers of the modern era. 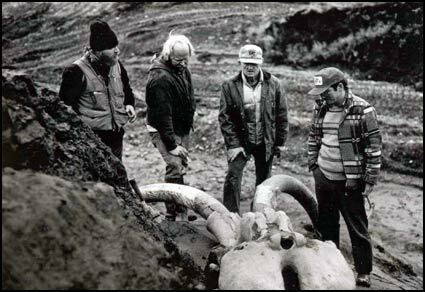 Toivo (and the writer) was at Colorado Creek when the ‘Rosander Mammoth’ was excavated by University of Alaska researchers in 1982. 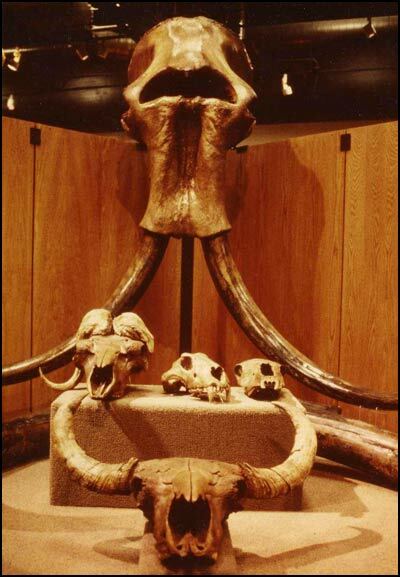 The company-donated skull is prominently displayed at the University of Alaska Museum of the North in Fairbanks. In 1994, Toivo and others of Rosander Mining Company were honored by the University Museum for their paleontological contribution. During the 1970s and 1980s, Toivo was an integral part of tours funded by the American Forest Institute in Washington, D.C., an organization that sponsored the American Tree Farm program and advocated for the forest products industry. George Cheek was the President of that organization. All of the tours had a similar pattern. A group of as many as 20 would tour logging and processing plants in southeastern Alaska. Then a smaller group would travel north to the general Ophir-Yankee Creek area. Toivo was the main host to those interior Alaska visits. Frequently the group split up to see different operations in order to obtain unique perspectives from mine operators themselves. Toivo wanted people to see for themselves what was going on and make up their own minds about environmental damage or other issues. One group would visit Mike O’Carroll on Spruce Creek. Another group would visit Warren Magnuson on Ganes Creek. A third group would visit his son Ron Rosander on Colorado Creek, and so on. Afterwards, the groups would be flown to Flat by Warren Magnuson, Doc Sayers, and Bob Magnuson and visit with the Miscovich, Fullerton and Agoff mining families. In 1973 Toivo hosted a lawyer who later was chairman of the American Bar Association’s antitrust committee, and a New York Times reporter who was off duty. The group caught grayling, picked two beer cases full of morels (mushrooms) and anchored a case of very good chardonnay in the by-water flowing through Yankee Creek camp from the old drainage ditch. Toivo fried the fish and morels in butter, and cracked the wine and sat there eating under a hissing Coleman Lantern. “I wonder,” said the lawyer,” How much we’d have to pay for a dinner like this in Washington.” That lawyer still has a picture of himself and Toivo cleaning grayling hanging in his dining room. When the contentious D-2 Lands were being debated, people from the media, from Congressional staffs, government agencies, including the U.S. Environmental Protection Agency (EPA) and from universities toured the Innoko and Iditarod districts with Toivo again serving as host. The media represented in those tours included ABC News, Time Magazine, Business Week, Harpers, Saturday Review, Field and Stream Magazine, Newsweek, the Kansas City Star and the New York Times. 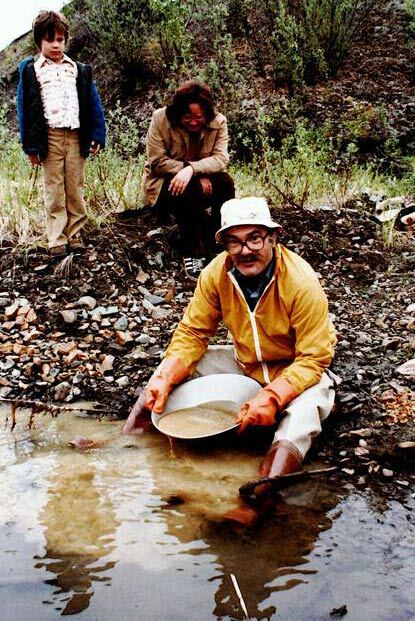 According to George Cheek, Dan Cordtz, who was then the Economics Editor for ABC News, still had a photo on his office wall in the 1990s of himself, with Judy Rosander (Toivo’s daughter-in-law) and a prepubescent Neil Rosander (Toivo’s grandson) panning gold. George Reiger, then the conservation editor of Field and Stream Magazine, hit it off with Toivo Rosander. Both would fish together on Ganes and Yankee Creeks. Reiger would later publish an article “Grayling in the Tailings’ in his magazine. Throughout his long life, Toivo was tolerant of many view points other than his own. Like his uncle Gus Uotila, he was a great mentor of youth. It is difficult to overstate the number of young people that Toivo influenced during his life. Allison Davis, who visited Toivo at Yankee Creek on several occasions during the 1970s, observed the legal and environmental challenges faced by the placer gold miners of the Ophir-Flat area. She would later pursue a law degree at the University of California-Davis and would represent small mining interests such as Rosander Mining Company and others during her career. After Toivo retired, he continued to help and encourage a younger generation of gold miners in the Yankee Creek drainage basin and in other areas, including Bennie Magnuson, Mansie Magnuson and Eep Anderson, who have opened up their own placer mining properties during the last 25 years. Toivo liked classical music and was especially fond of violinist Itzhak Perlman, whom he heard live at the San Francisco Symphony. 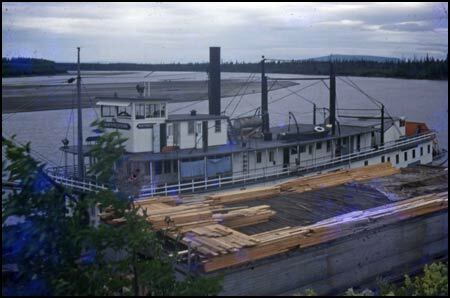 As might have already been ascertained, Toivo was a dedicated fisherman and would often spend time at his favorite fishing holes in the Tatlawiksuk, Swift and Gagaryah River basins, all tributaries of the Kuskokwim River downstream from McGrath. 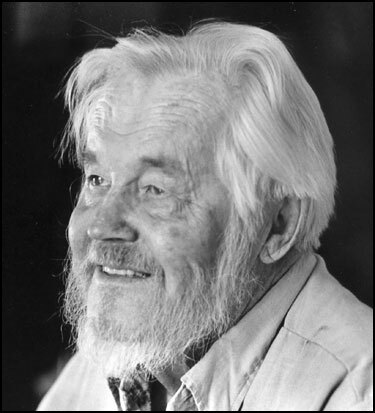 Besides his generosity, honesty and humor, Toivo will also be remembered for his Finnish saunas, a prominent fixture in all of his placer mining camps. Toivo’s older son Ken Rosander died in 1983. His first wife, Miriam, mother of his two sons Ron and Ken, died in 1986. Toivo married Dana Litchmen in 1990, and both lived in Florida until his death. 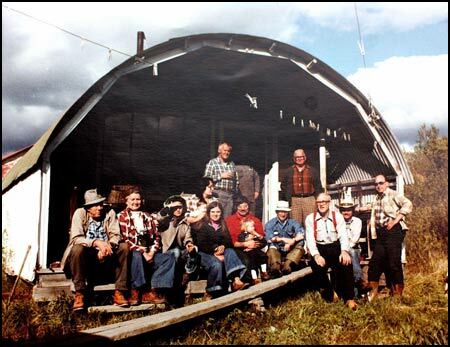 Toivo Johan Gustavus Rosander is survived by his wife Dana, his son Ron and daughter-in-law Judy, and five grand children (including placer mine operators Neil and Kyle Rosander) and eight great grand children. The writer benefited from conversations he had with Toivo Rosander during 1978, 1982, and 1996, all while Toivo was engaged with mining activities in the Innoko Mining District. The writer thanks Ron Rosander, Judie Rosander, Peter Snow, and George Cheek for written and oral conversations concerning Toivo’s life and accomplishments. In particular, Cheek provided abundant information in Toivo’s activities during the 1970s. Using these and other sources, the writer compiled a brief biographic sketch that was published by the Journal of the Alaska Miners Association during 2011. Cheek, George, 2007, Epitaph for Ophir: E-Book Time LLC, Montgomery, Alabama, 402 pages. Holdsworth Phil, 1959, Report of the Commissioner of Mines to the Governor of Alaska for the Second Biennium Ended December 31st, 1958 83 pages. Noyes, L.M., Rock Poker and Pay Dirt—The History of Alaska’s School of Mines and it’s Successors: University of Alaska Press, 712 pages. Reiger, George, 1978, Grayling in the Tailings, Field and Stream Magazine. Stewart, B.D., 1941, Report of the Commissioner of Mines to the Governor of Alaska for the Second Biennium Ended December 31st, 1940: 92 pages. Stewart, B.D., 1949, Report of the Commissioner of Mines to the Governor of Alaska for the Second Biennium Ended December 31st, 1948 50 pages. Williams, J.A., 1961, Division of Mines and Minerals Report for the Year 1960: 88 pages.